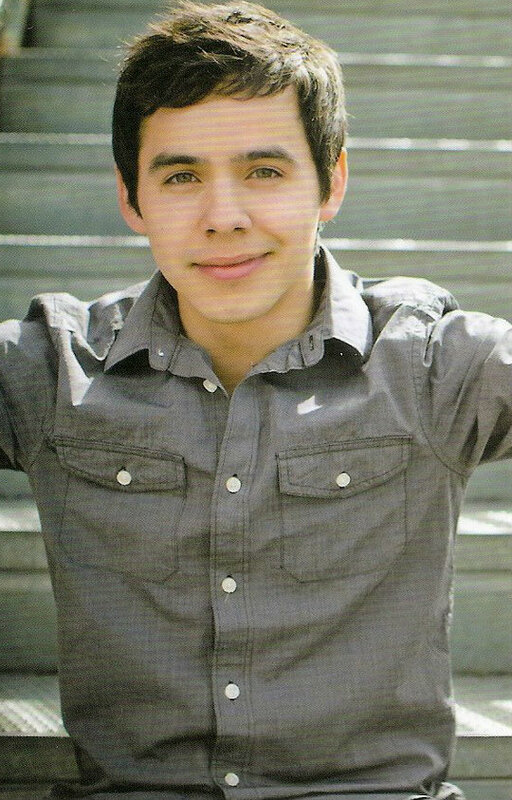 Happy 21st Birthday, David Archuleta! David is 21 years old today. By most cultural standards, he is a man. He has chosen to launch his adulthood in service to his fellow-man. I could not be more proud of David at this time. He is giving up so much. His family, friends, and putting his lucrative career on hold. All so he can minister to others far from home. Taking this opportunity to move forward on his path in life is nothing short of amazing when one considers how most young men would rather be safe in the shelter of their community. David will demonstrate his manhood by taking off on a journey that will test his mental, physical, and spiritual abilities. He has taken the time over the last few months to prepare himself to be more self-sufficient in a place that might lack the most basic of resources. Young adult men often desire to learn how to drive a manual transmission car or change the oil as a hobby. For David it was an assignment he took on to prepare his life skills for his mission. 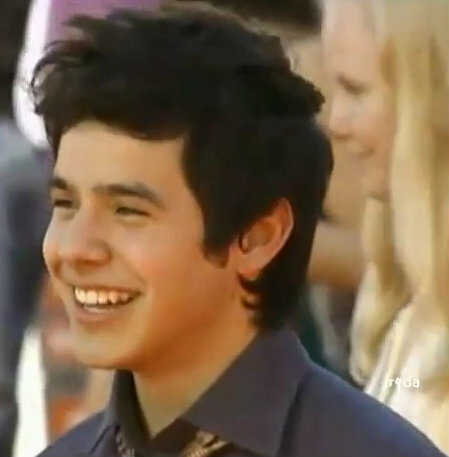 It is difficult to compare David at age 21 with others his age. He is blind to age, gender, race,and religion when it comes to lending a helping hand. He communicates a special heart connection that shows selflessness, compassion, and the willingness to step into the unknown to help another person. This unconditional love is a gift he shares much like the gift of song that drew us to him in the first place. He is blessed and uses his blessing for good. 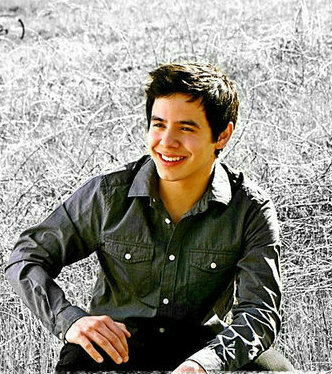 Happy Birthday, David Archuleta! You have lived all your life to come to this point in time where you will move forward to serve God and his children. Today you are a man, my son. Go in peace and bang your drum with all your heart, might, mind and strength for mankind. 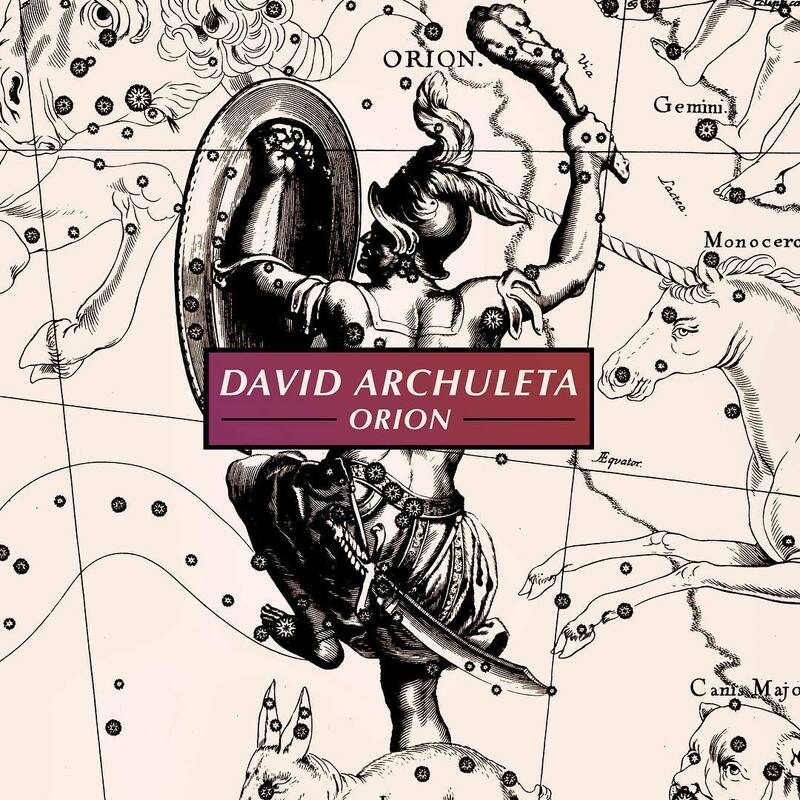 This entry was posted on Wednesday, December 28, 2011 at 12:17 AM	and is filed under David Archuleta, The Voice. 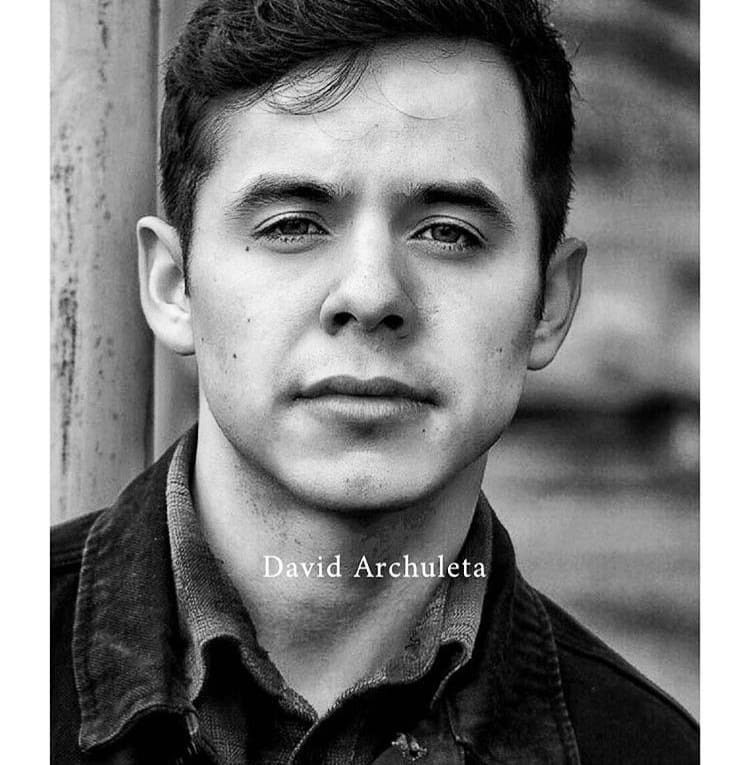 Tagged: Being 21, David Archuleta. You can follow any responses to this entry through the RSS 2.0 feed. You can leave a response, or trackback from your own site. Wishing you love, peace, and joy as you follow your heart’s desire. Thank u so much, Abrra:)) This is beautiful!!! Happy Birthday, David! May you have a blessed year!! Happy Birthday Mr. DA!! May you have many, many more!! Thank you Abrra for writing such a beautiful piece. Well done! The Vietnamese Archie are just so adorable. Made me cry. Happy birthday David! May all your dreams come true. Thank you Abrra for such a wonderful post! I have had such conflicting emotions concerning this new chapter in David’s life. Your words have helped me to see his next step in a brilliantly bright, positive light. Thank you so much! Thanks for your words abs, perfect. I needed that today. It’s a beautiful day for a BIRTHDAY CELEBRATION! Thanks to all who come to The Voice to share about David. Does anyone have an MP3 of the entire BC concert? I thought I had seen it on one of the posts. Thanks. This a response to Blisskasden (from the earlier thread): was browsing the comments this morning & saw your reply to me & how I have tried to cope with the news of David’s mission. First ..let me saw “ouch” & now that I’ve gotten that out of my system..may I explain that I was referring to MY feelings of how I can be a “true” fan by being happy for David. I had just had a phone conversation with my daughter when I posted my comment. Her words to me after listening to me cry on the phone for at least a half hour were …”Mom if you really care about his happiness as much as you’ve expressed to me for the past 4 years..you will be happy for him now”. It made sense to me & that’s where I was coming from when I shared my feelings here. Everything that is written is open for interpretation..in this case I feel I was misunderstood. Guess I should just stick to Twitter & keep my comments to 140 characters..and may I add that each person is processing this event in David’s life in their own way. I’m doing my best to understand the feelings of every single person even though I may not agree with it. There is no right or wrong here..it’s just a matter of getting through this. David, the men make their own way, you’ve decided to make your own way. I thank you for letting me be part of this whole process. In these 4 years I have learned many valuable things. A young man of 17 years taught me to laugh, to reap new friends, walking and watching, laughing at myself, to sing, listen to music, learning to live my life. The most important lesson is to look inside myself and understand gladys. David, I’m going to accompany the rest of the way, if you will permit you, and at some point in that way I hope to meet you to ask you a hug. I see your smile and happiness in many pictures and videos, you’ve made a choice that comes from your heart. It has cost me many tears but I knew, I was too embarrassed to have been so selfish these past few days but I overcome that ugly feeling. I wish you more beautiful and happy birthday. In my country, with 21 years, you are legally of age. Here there are many teachers of Spanish, if you wish to perfecting the language. There is a person who lives in Buenos Aires, in the street Juan Domingo Peron, number …………………..
Love your article and Birthday tribute Abrra! I wish David all the best as he ventures on in his life. He has brought me so much joy since he was age 16 and I wish him nothing but the best. I’m thankful for all the wonderful David fans that I have met on line and in person. I so enjoyed singing Happy Birthday to David with other fans who donned Birthday hats in celebration while in Beaver Creek. I was honored to bring Birthday cards to David from fans across the states and Nova Scotia. I am thrilled with a note David sent me addressed to Heidijoy!!! I share David’s message “Wishing you a wonderful Holiday Season”. HI Marlie– thanks but is there a regular download version? I don’t have an account for the premium version. Thanks. oops at #12.. *let me SAY*<<<hard to type through my tears. 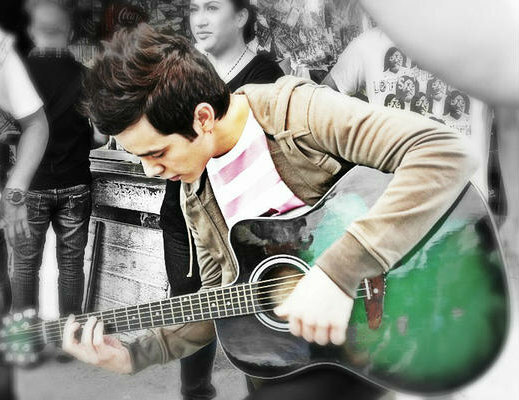 David’s Vietnamese fans are so creative and so loving of David. Happy Birthday, David. May you have the desire of your heart. 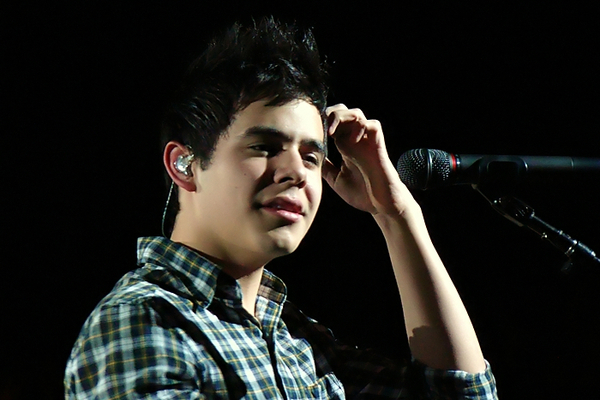 #Happy21stDavidArchie <– might as well get it right! lolol ~have a great day you guys. Abrra what a great tribute to David for his birthday. TY for expressing those thoughts that many of us feel but are unable to form the words. I was expecially touched by “he is blind to gender, age, race and religion”. One of the things I have admired in David is his total inclusion of all people. Loved the birthday party the DAVN had for David. And good to see David himself (or a facsimile thereof) in the middle of all the festivities. So nice of them to share their good times with the rest of us. Gladys, you mentioned David has taught you to laugh at yourself. I think we have earned a masters’ degree in that. Remembering all those fun times we have had on The Voice Unplugged when we have been somewhat idiots. But loving idiots. Happy Birthday dear David, Happy Birthday to you. And thanks to Lupe and Jeff for raising this wonderful child. Abrra, this is a wonderful tribute to David. Very nicely put! “David will demonstrate his manhood by taking off on a journey that will test his mental, physical, and spiritual abilities.” This is so true, but I see him up for the challenge. Happy Birthday David!!! May you find much joy and happiness in this your 21st year! THIS is why I love you, hon!!!! Thank you!!! Loved your post Abrra♥ just beautiful! the Vietnamese Archies..what a joy they are. For that alone, I am grateful he came into my life. Have a wonderful celebration today David! I have temporarily been banned from twitter . 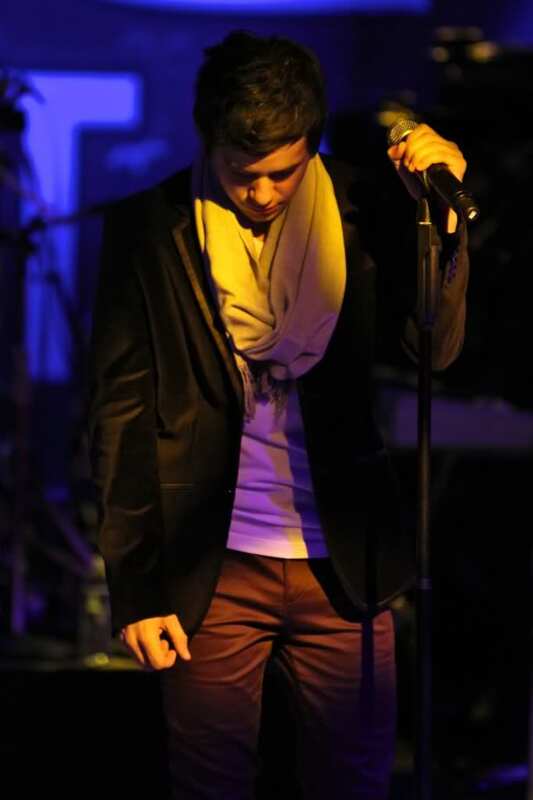 guess it must have been from tweeting and retweeting #Happy21stDavidArchie!!!!!!!!!!!! Oh Happy Day! 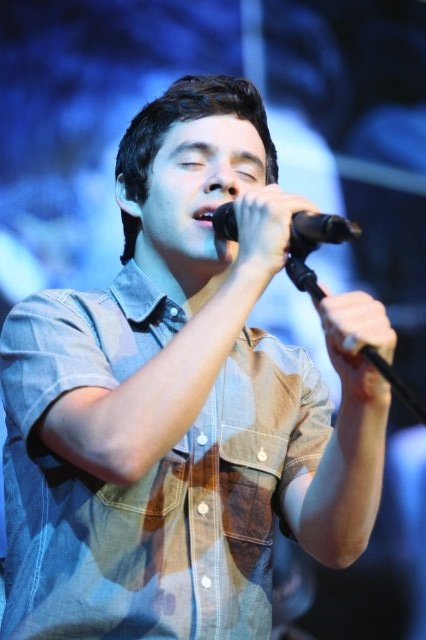 I am so glad David James Archuleta was born, and that we have been able to get to know him! David has such a great grasp of being true to himself, and I respect him so much for it. He has taught me how to do it better over the last three years, and I needed that. Though I will miss David’s music, his day to day musings and perspectives, and new videos over the next two years, I am happy that David will be able to be with peers his own age. David will be making new, life-long friends, outside of his music, fame and even his family. I miss the community I felt in college so much sometimes. I am happy that David will get to experience ” a community” of peers for two years. . Surely David has enjoyed his experiences and new friends in music over the past two years– and this experience will feed another part of his soul. I can’t wait to see what he learns, how he grows and what he creates out of this venture. So, I ‘m with Aabbrraa on this. Onward David, Godspeed! Love to all of you as we waltz into a New Year with our Kind of Christmas music melodies playing in our hearts and minds. We have been blessed! Loved your birthday message to David, Abs! You cut right to the heart of the matter and outlined how proud we are of him as he embarks on this next stage of his journey. Kudos to you and David both! Joining in with everyone here to wish David the most wonderful birthday with much love, peace, happiness, good health… and his favorite food!! Ncgirlmarylee, I’m sorry if my response to you on the last thread pained you in any way. You most certainly are entitled to love David any way you want, and if “what makes David happy, makes you happy” is how you do it, then , that’s fine. There are many TRUE fans, I am sure, that are not happy with David’s choice to leave for 2 years. I understand that , to an LDS member, David’s departure did not come as a shock nor was it out of the ordinary in any way. They’ve all known countless young men who have done this, and the Mission is seen as an honor rather than a responsibility. David has an unprecedented relationship with his fans. No one, in my lifetime, has connected in such an intimate and profound way with fans as has David. Everybody of my age group loved the Beatles, but had they taken time off from music for a while, we would have accepted it very quickly and gone about our lives. 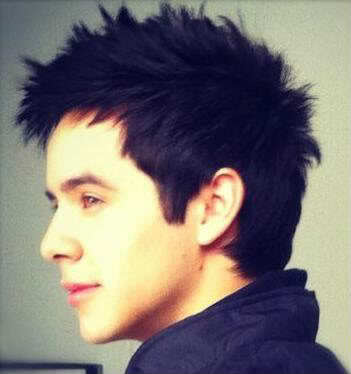 The love for David is based on a love for and of HIM. We love HIM for HIM. The fact that he is also the most entertaining and satisfying singer we’ve ever heard is, frankly, secondary. 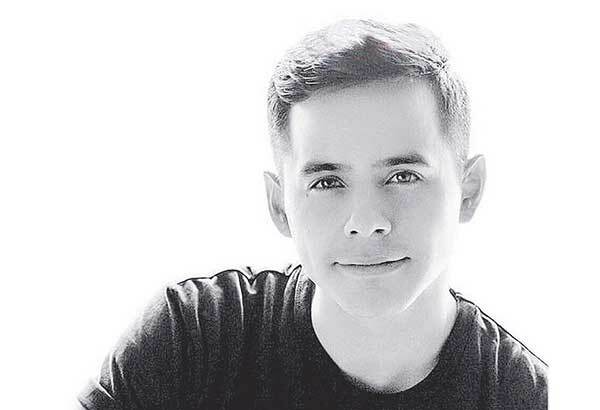 If David had told us that he would not be singing for 2 years, but would still living among us and communicating with us, the effect of his departure would be much less intense. David is our son, our brother, our neighbor, our inspiration, and most importantly, our dear friend. 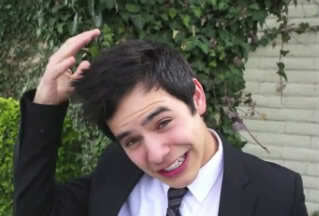 For me, although David is always in my heart, I will miss seeing him and hearing from him for 2 years. Friends like David are hard to find. 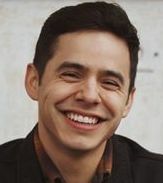 Latina.com/entertainment has posted 21 of David’s songs along with a Big fat headline that it is his 21 s birthday. 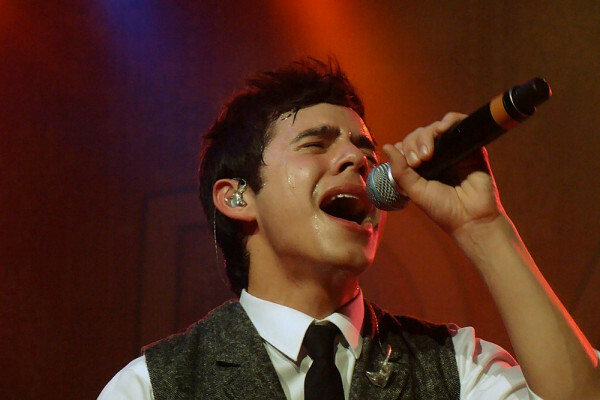 Half-Honduran singer David Archuleta turns 21 today, and in honor of one of our favorite singers becoming legal, we rounded up our 21 favorite Archie performances of all time! There were so many to choose from (everything David does is amazing! ), but be sure to let us know what you think of our final choices. Feliz Cumpleaños, David! Somehow, that first one, “When you believe”, with his young face… it still sends chills up and down my spine, while my spine melts, while what is left of me soars up into that place he seems to ascend to so easily – and of which, he never appears to completely let go. And the connection… effortless. With all of that, I can never imagine that he would do anything other than sing, in whatever form might be possible to him and in whatever way. It is life and breath to him. 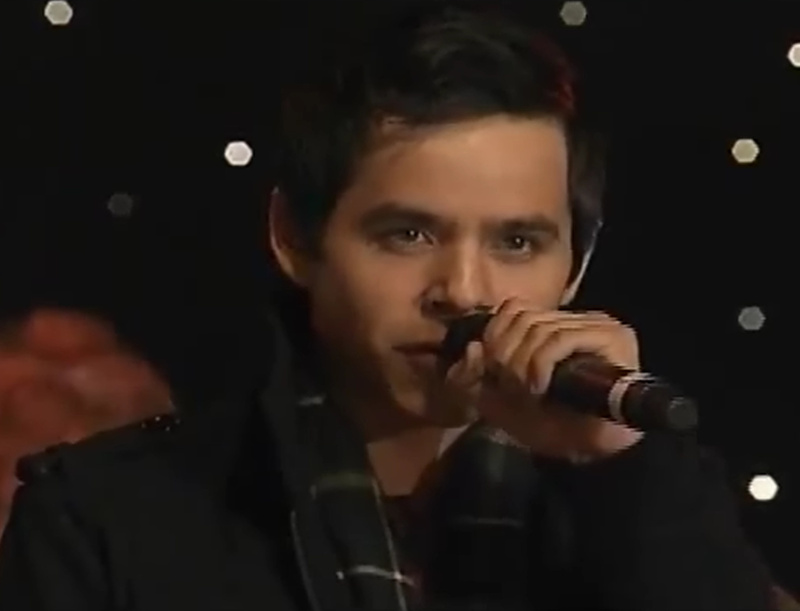 The Vietnamese Archies birthday video was so touching and heartfelt. The ending song was just perfect. Emifriend….You articulated my feelings so well. I agree with everything you say about David not needing to go on a mission because he reaches far more people through his music. Also, David’s relationship with his fans is unlike any other I can remember in the history of fandoms. I don’t think he will ever understand how loved he is by us. That said, I have been struggling with the news of his mission since I first heard his announcement last week. I’ve been unhappy, with an overwhelming sense of sadness that I’ve been trying to shake because the thought of not having him in my life for two years is devastating. I’ve come to the realization that I was making this about me. About how I feel. About what I think is right, because if I feel something so strongly, then it must be true. Right? But this is not about me. It’s about David and his desires and decisions. It’s about someone I love who has lived a different life than I with a different upbringing and culture. If he had grown up in NYC like you and me, with our traditions, we wouldn’t be having this discussion now. Through reading and talking to people, I found out that children learn about missions at an early age and they’re looked upon as something to aspire to when they reach the proper age. So David has grown up with the promise of a mission. I believe that he wants to go, is excited and feels it’s something he has to do for himself for whatever his particular reasons are. This is about David, not about me. I guess I’m not too old to learn. Forgot to mention that today….for the first time ever…..our local paper listed David in the “Famous Birthdays” section. Bluesky, Thank for bringing the Latina selection over. A trip down memory lane for sure. Ah! yes the Church pants ha! and David defending these are not leather pants. Ah! the memories and Shop Around as their last/best performance. I would love to hear him sing Shop Around again! among a hundred other songs. Love what you had to say Bebe!! 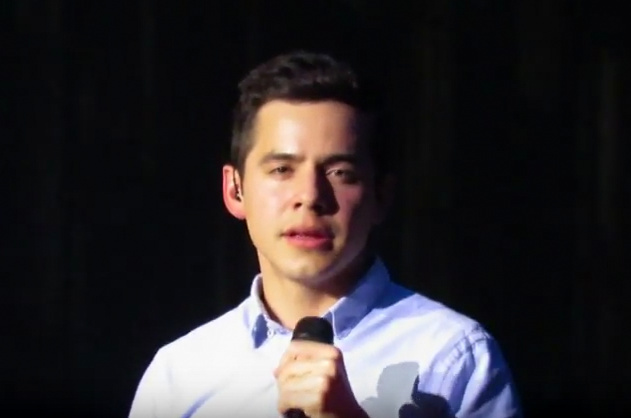 This video captured by Shelley, love her, captures the excitement David feels, salve to my mending heart. Love that Latina actually did a little work to pay tribute to the best human being/singer in the world. Though I love all there choices I think Contigo and No Me Queda Mas were epic. 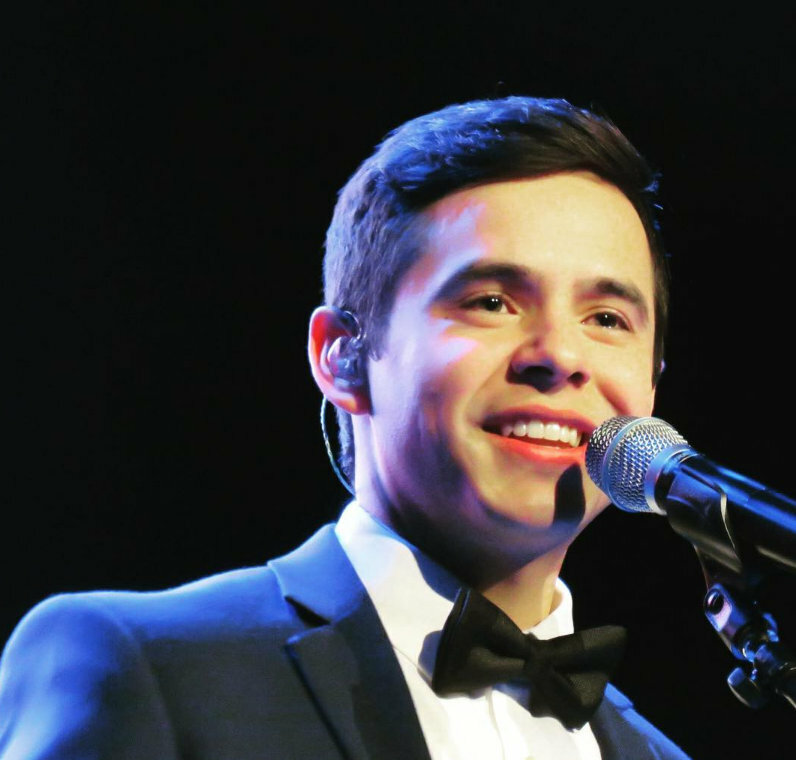 A little poll from Idol Chatter…Please vote David is in currently in second. Poll: Which Idol had the best guest spot in 2011? Even though Idols didn’t always have albums at the top of the charts in 2011, they often made their presence known via their collaborations and guest appearances on other acts’ albums. 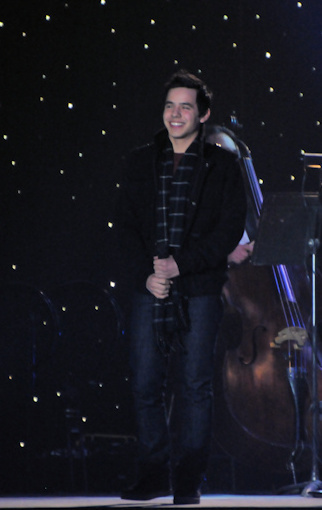 David Archuleta had a popular Christmas album as a featured soloist with the Mormon Tabernacle Choir. Season 6’s Chris Richardson returned from virtual Idol oblivion to chart with rapper Tyga on Far Away. And Carrie Underwood was practically Queen of the Duets in what was otherwise a quiet year, recording-wise, for her. Abrra, thank you for such a beautifully-written article. Sums up so much that we all think about and, for some of us, just can’t find the words. Gladys — and could a tail-wagger named Emma T. be found at that address as well? Emifriend — great to hear from you and especially all your wonderful words and thoughts. Lovely. To all, love reading your comments so much (sorry, I’m mostly a lurker) and hope many of you will continue to post over the next several months/years. Well, I guess Christmas and the busy-ness that goes with such a happy holiday helped me set aside my feelings about what I’ve been selfishly considering another loss. Now in the very cold light of day, I have to face reality – David is leaving. But, “hold on now, steno” I say to myself, “look outside – if it wasn’t for the cold, those lovely snowflakes would not be drifting by the window.” David influences us to look at the positives and I must continue to remember that. And so, David will leave to answer his call and follow his ‘feeling’ – and then he will return. Yes! Well, okay, in two years – “hang in there, steno.” May God continue to bless sweet David and keep him safe. Wishing David a very special birthday with family and friends, a celebration to add to the memories he will carry with him on his journey. Thanks everybody for the all the birthday wishes!! 21 today! Appreciate all the birthday books, videos, messages, and letters you’ve sent! Thanks Abrra! I’m still riding the emotional Elevator, but of course that’s me, not him. I’ve felt for quite a while that David, despite all his adventures and successes really still just wants to fit in with his friends and his culture. This includes a mission, so of course he must go. It’s in his heart and yet I’m sure he gave it a lot of thought. Four years of doing what he loves most had to be hard to let go of, but he’s the one with the iron will, so how could I be surprised. So I’ll be glad for him, but still sorry for me. He’s become a big part of my life and it’s all been so positive. I will hit the pause button and hope that he returns to turn on that glorious music again one day. Abrra, thank you for the birthday tribute to David and I love the video from Vietnam. What sweet spirits they have. Thank you David, for showing us the best within ourselves and others. That is a true gift. We can not thank you enough. Happy Birthday dear David! I hope this year brings you everything you’re looking for and more. Thank you for the beautiful article, Abrra. 29/Bliss: I won’t attempt to say another thing except…”I understand how you feel”. “glad for him, but still sorry for me”…Mari Maynard, there we are. All of us in that boat. I love how David unearths feelings in all kinds of people about all kinds of issues. Only the really great ones can do that. Bebereader, I’ve been a counselor/therapist for most of my adult life, so please forgive the ensuing psychobabble. There are no “good” feelings, “bad” feelings, “right” feelings or “wrong ” feelings. Feelings are like rain. They just are. Feeling sad about David’s departure is as valid as feeling happy about it. All one’s feelings are equally valid. If feeling sad that he’s leaving is about “me” and not “him”, then why isn’t feeling happy about it equally self centered.? You can and will feel whatever you feel about this or anything else in your life. You’re a person too, and you are entitled to feel whatever you feel. That does not make you self centered or “about yourself, not David”. in conflict with each other. They can both be felt at the same time. If your best friend gets married and moves to China you’ll feel happy for him/ her (if he’s/she’s happy) and sad for yourself because you’ll miss that person. That’s all I’m saying. Bliss, thanks for expressing in your comments exactly the way I feel about David’s leaving. I think many fans are feeling the same way. You have wonderful writing skills. Happy Birthday to David. I wish him the best in whatever he does. Thank you all for sharing your thoughts. It’s strange how David can make us think so hard about everything. We love him and have conflicting feelings about him leaving. I am finally at peace with it, but still sad that he’s going. LIke Bliss said, glad for him, sad for me. We all have different ways that we have worked it out in our minds in order for us to reach the acceptance stage. I don’t think it means we’ll miss him any less, or that others should think the same. It’s just us sharing our way of getting to the point where we can say “Ok, DAvid, I understand that this is what you need to do.” We here have many different personalities. So, we each have our own way of getting there. Some have reached that stage, and some have not. And I think we just feel the need to share that reason with others. Not because we feel it’s the right way to feel, but perhaps in hopes that someone else, even one person, might take solace in the idea and that it may help them to get to the acceptance phase too. Thank you again… to each and every one of you for sharing your hearts. Abs – thank you for this beautiful article! And my thanks to everyone else too – reading how everyone feels helps me understand all the emotions I am still feeling. Love all of you! Oh, how could I forget 😦 – Happy Birthday David – I hope you enjoyed a memorable day with your family and friends! Happy Birthday David !! God bless you ! You will always be in my heart . SB–we must be here for each other–chat is good–I put dibs on the purple dress (no lace tho’).lol Nobody gets to wear Abs’ skinny black dress–nobody. Happy Birthday #21, dear David! I kinda remember turning 21. It’s a pretty dusty event in my pages of time. Blisskasden I think you hit the nail on the head about our good friend David we enjoy his idiosyncratic ways with his human touch and heart. There has not been a day in the last 4 years that we dropped by just to know he was alright. We loved him like our own. That I feel was his connection and magic. I support all that he is doing because he will be back to us stronger and with new insite. He will be a true alchemist as we have scene In the last four years . Happy birthday David bang them drums your way! Of course I know this, Bliss and I’m not a therapist. But when I realized that David made the decision to go on a mission and there isn’t a darn thing I can do about it; when I took the focus off of my own feelings, my anxiety lifted. I shared this with you not because it’s the right way to feel; but in the hopes that it would help you, too. Bebereader, I’m sorry if I came across in a lecturing manner, It was certainly not my intention, but after rereading my post, I can certainly see how you could have been offended by my tone. I fumbled the ball on this one. Please accept my apology. It was Monday morning, 2 days, ago when I had the overwhelming need to write down my thoughts about David turning 21. I wasn’t sure what Angelica had in her bag of tricks to mark the day. I am proud to have the honor of having my post published on such a historic day in David’s life. Angelica contributed the art and I want to thank her for that. 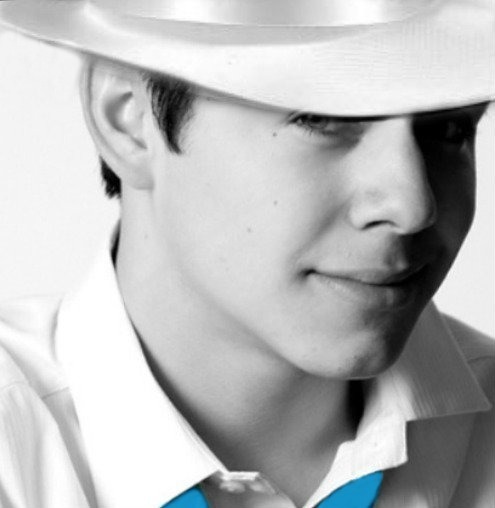 Vietnam Archies are so creative! I wanted to share their video with everyone here. It pleases me no end to see all the new and older names come out to wish David a happy Birthday. It’s nice to have the MEN”S voice be heard here too! At times we can be a bunch of mother hens 😉 A few roosters make for a good balance. Much food for thought has been discussed today in this thread. We may not agree with every point, but as MT says, it makes us consider the impact his mission will have on us (his absence from our daily lives), as well as him ( life experience). I am not sure what we will find to talk about in the next two years, but I do know we will find a way to tie it into our love for this man who sings like an angel. May your light continue to shine brightly & may you have all the joy & fulfillment you so richly deserve today, your 21st Birthday & every single day of your life. CONFESSION: I went looking for an age progression web site. I wanted to upload a picture of David , then age him 2 years. I wanted to be totally prepared for what we can expect him to look like as a more mature man. I failed in my search, but I will not give up. I’ll keep you posted if I do find such a place. Abrra..what a beautiful post…your last sentence brought tears to my eyes. All of you are such lovely writers…so enjoy reading all that’s written. Happy 21st birthday David..you have taught me so much about how to live life!!! 58. Abrra, He really is so beautiful. I hope you find that program. It would be interesting to see a projection of him in two years. I’m guessing he could only get more handsome with time. MT – That was exactly what I was going to post – #58 How can he be so beautiful?! 65. Marlie, Can you imagine if he comes back two years older and EVEN BETTER LOOKING? Haha We’ll all be toast. I imagine we’ll find something. I know we’ve never been much on conjecture or supposition here, but during the next two years it may come to that. Personally I love guessing games. 🙂 It doesn’t really matter if I end up being right or wrong, but the guessing can be a lot of fun. Example: Will David come back with a beard? haha What would he look like with a beard? Do we have any artists out there that would like to give it a try and show us? I hope you had an awesome day with all your favorite foods! “If ever there is tomorrow when we’re not together.. there is something you must always remember. You are braver than you believe, stronger than you seem, and smarter than you think. But the most important thing is, even if we’re apart.. I’ll always be with you. 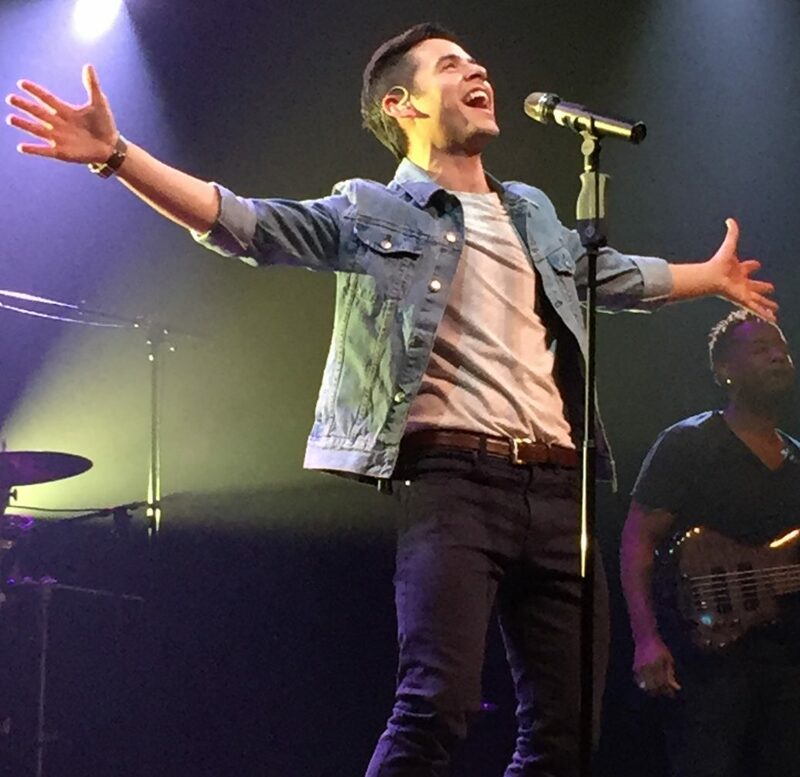 A few days ago I wrote, “Courage: thy name is David Archuleta”. I just want to thank all of you for showing me your own courage, both in self expression and in the efforts you make to comprehend one another. The world seems less an enormous space and more a place of people. Thank goodness DA is anything but a chicken. And if that is a true depiction of Hemingways style, (kidding!) I prefer yours. 68. Angelica hahahahha Too Funny!! I can’t be left out in wishing David a Happy Birthday—somehow I feel he can hear it from everyone. Angelica–shave that beard off!!! Stat! I’ve posted over 200 pics of the SLC concert on Facebook. Go and look at them if any of you are on there. They are really good. I will still forward some to you, also. And my son that came up from Dallas gave me a brand new monitor to watch vidios and look at pics better!! Must be that he’s gettin me get David!! lol Dayzee, it’s one just like yours and the bigger pics are fantastic!! I told him that I’ll have a hard time getting away from here now! You have a knowledgeable, sophisticated take on life. You’re serious and hardworking, and you know how to over come obstacles and setbacks. People know they can rely on you. Nevertheless, you need appreciation for your efforts. In the year ahead,something you have been involved with for about nine years will end or diminish in order to make room for something new. Happy birthday to an amazing and inspiring role model whose beautiful voice and heart of gold has enriched my life beyond words! Wishing for David all that he dreams and aspires for. May God continue to bless him in many ways! Abrra; You’ve captured so beautifully what I’d want to say when sometimes the feelings down deep inside are conflicting. I am grateful for this site, a good place, to share and express all emotions and opinions, understanding that we all care so much in our devotion to David. I confess that I still cannot bring myself to watch any of his SLC or BC videos nor even the ones I took … just a matter of time I hope and trying to stay positive. By the way, it has been good therapy to soak in everyone’s thoughtful comments. Heidijoy; Thank you for sharing your heartfelt recap! Can’t tell you how much it meant to know the love and support all the wonderful fans showered David with … what an extraordinary experience it must have been! Soooo late to the birthday party! Happy Birthday, dear David! Thank you for bringing so much happiness to so many. How lucky we all are to have had this amazing young man enter our lives…inspire us, heal us, give us hope, make us smile, and help us look for the best in ourselves. Many thanks to Abrra for posting DAVN’s video tribute here. 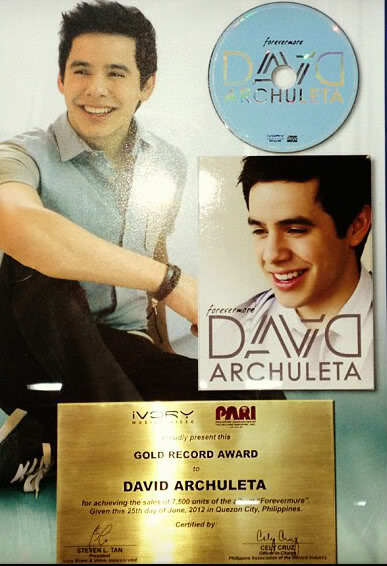 It really means a lot to Vietnamese Archies. 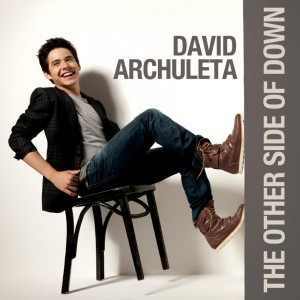 The Voice DA always have original and meaningful articles of David that always enlighten me. Please keep on doing great work, especially in the next 2 years while we’ll be waiting for David’s come back. Abbra sorry this is so late but thank you for your tribute to David on this birthday bravo to your insite on the man! And thank you for your support. He will be missed but this time away will make all our heart grow fonder !!!!!!! Bluberry Ice Appreciate the shout out! Yes the whole experience is something I’ll treasure forever. I’m so glad that we were able to show David how much we care about him. As you can imagine,it was wonderful to meet more of David’s wonderful fans. Abrra, As Harold and so many others have said: Thank You for the wonderful tribute to David on his 21st birthday! !